I am a DJ in Austin, Texas. And I love my job. I moved to Austin to play the drums in 1995 and have been in love with the music scene ever since. I was lucky enough to play the first 2 Austin City Limits Music Festivals in ’02 & ’03 with my band, SpaceTruck. (Fun fact: SpaceTruck struck the first note of the first ACL Fest ever.) I still play the drums with my dub rock outfit, Big Breakfast, but I started DJing professionally back in 2012. I spin an eclectic mix of music, blending the classic and the current, with genres ranging from the funky blues to dub to old soul to classic cumbia to indie rock to hip-hop…and everything in between. I can absolutely do the Pop/EDM thing but I really enjoy spinning real bands with real drums. I throw a lot of Austin and Texas artists into the mix too. It’s soulful. Fun. Funky. Upbeat. I’m available for private parties, corporate events, weddings and all types of wild and crazy (fun)ctions. I’d love to help you set the perfect vibe at your next get-together. Thanks for reading this far. I’m glad you’re here. Hope to see you out there. 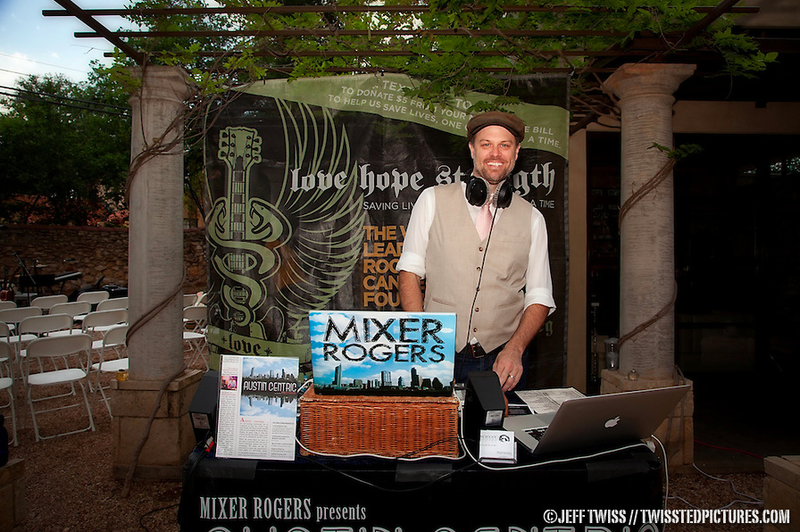 Hey Mixer Rogers, really enjoy you at Uncle Billy’s…great song selection and impressive segues! I’m planning a party on Saturday June 18th at my condo (roof deck or pool courtyard) about a block west of Uncle Billy’s. If you’re interested and available, please let me know and hopefully we can work something out!